HYDERABAD, India – Synergy Global Housing announces the opening of its newest Global Solutions Centre in Hyderabad, India. This is the 10th Global Solutions Centre for Synergy, with offices located in London, Dublin, Singapore, Seattle, Los Angeles, San Diego, Orange County (Calif.), San Francisco and San Ramon, Calif. The new Hyderabad office is the second Global Solutions Centre in Asia, with the Singapore Centre opening in 2014. Hyderabad has centuries-old bazaars offering exquisite crafts like bidri and local products. Synergy understands the importance of being local. Our customers want a partner that understands the complexities of short-term furnished housing in any global market. This doesn’t mean simply recognizing that there are housing and cultural differences around the world, but actually having boots on the ground in the markets where our customers need us. Becoming fully-operational in India gives Synergy the ability to file local tax invoices and to operate in Indian rupees. These options allow our customers to conduct business on their terms, rather than having to work with a third party or adjust their own business practices. From issues related to banking, payroll, income, services offered and reporting responsibilities, Synergy now has the capabilities to work with its customers in India more collaboratively. Synergy will hire local Indian experts for property inspections, regional guidance and customer support. This dedicated team will have the regional experience and industry knowledge to provide a guest experience unmatched by other corporate housing providers in India. We began our staffing process with the hiring of Akshay Yadav to serve as Synergy’s Global Account Manager in Hyderabad. Yadav brings years of experience overseeing short-term housing in India for the furnished housing divisions of several property management companies. He is the perfect illustration of how Synergy’s people and the relationships they foster define The Synergy Difference. It’s also why he was the ideal candidate to become Synergy’s first India-based team member. 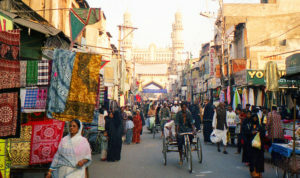 The Charminar, a monument and mosque located in Hyderabad, has become a global icon, listed among the most recognized structures of India. Synergy chose Hyderabad as the location for our Indian office for several strategic reasons. 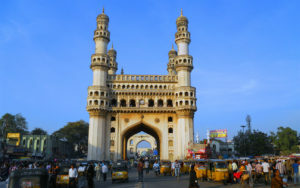 The city has a thriving economy, fueled by rapid growth within the pharmaceutical and biotechnology industries that have earned Hyderabad the nickname of “Genome Valley.” The city’s central location also gives access to the rest of India through a maximum 2-hour flight. Synergy’s India Global Solutions Centre officially opened in April and can be reached at +91 40 71055730.